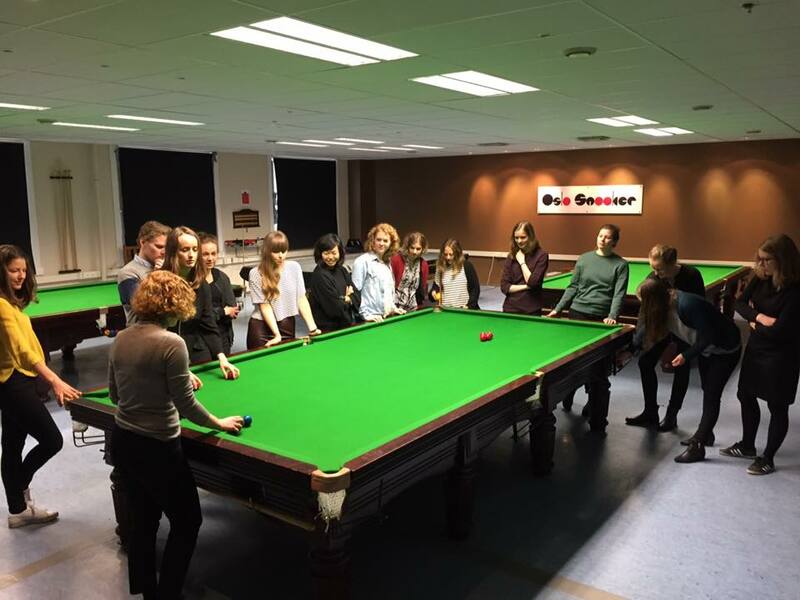 Oslo Snooker welcomes you to have your teambuilding, work event or stag/hen party at our premises in Ensjø. We are able to offer a fun and interesting alternative experience. 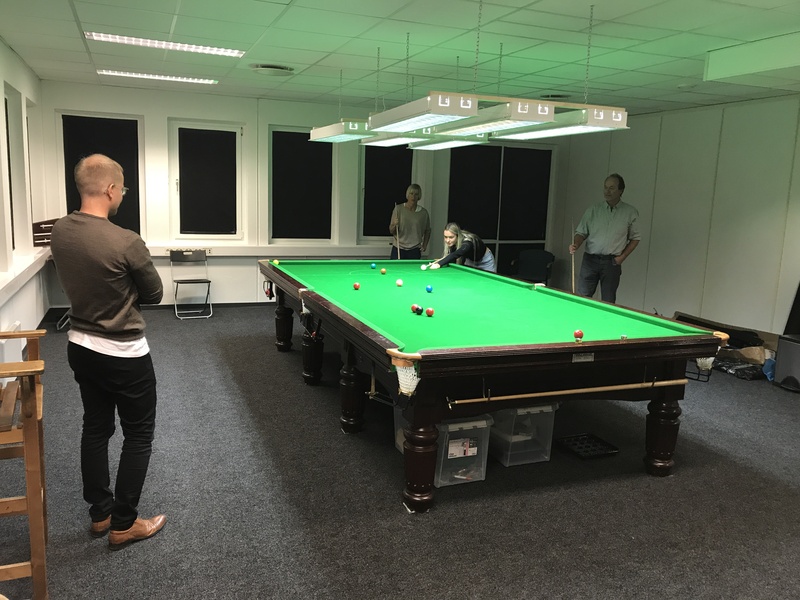 Up to 25 people can enjoy an evening hosted by Eurosport Snooker Commentator, Edwin Ingebrigtsen and coaching, tips and assitance with the rules from multiple Norwegian Champion Christopher Schou Watts*. 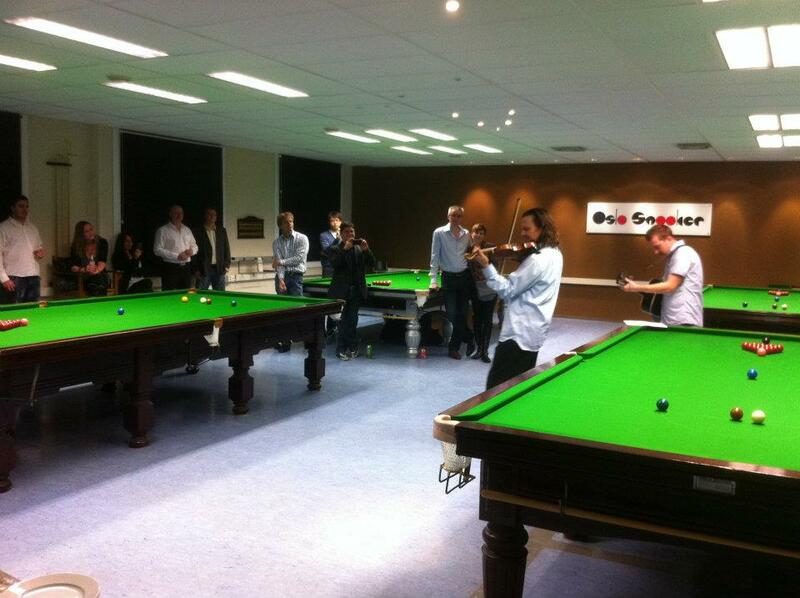 In addition, Oslo Snooker can provide music, a quiz and other games beside snooker during the evening. All playing equipment is also provided by the club. 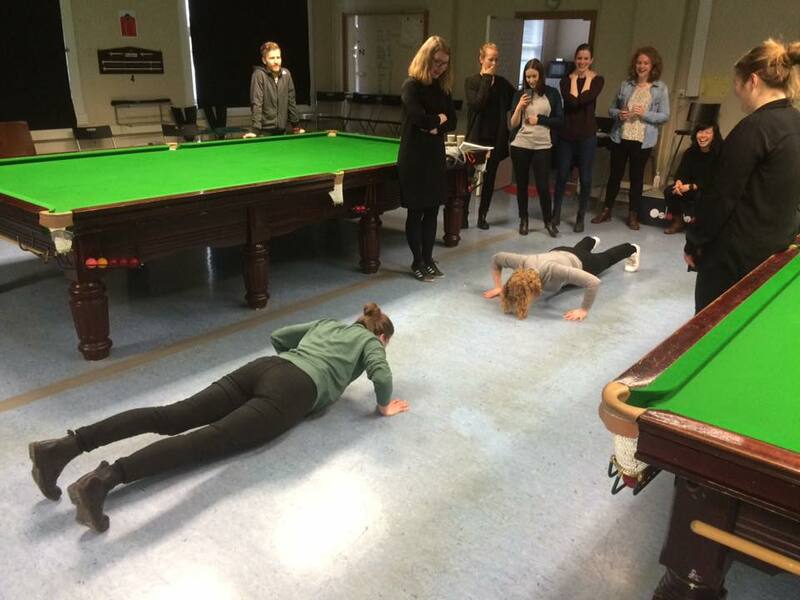 Given that Oslo Snooker is a private club, we can offer the option for parties to come with their own food and drink (inlcuding alcoholic drinks) which keeps the cost of a work event down. Guests will have exclusive use of the main playing hall with four tables and use of the communal lounge area. The club also has a fully equipped kitchen for food preparation and an extra fridge for guests drinks. The rental cost is only 2.500,- per hour for the main playing hall with a minimum rental period of 3 hours - there are no additional costs. - All plates, cutlery, cups, snack bowls provided by club. - Guests have option to order in own food.